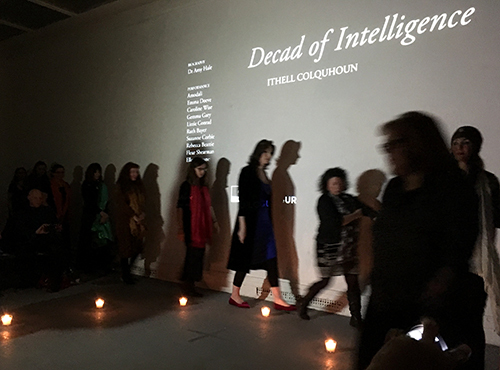 It was a surprise, an honour and a delight to have been invited by Robert Ansell to take part in the launch event for Fulgur’s publication of Ithell Colquhoun’s Decad of Intelligence. It seems to be a strangely magical time surrounding Ithell at the moment. This long overlooked female surrealist artist, writer and occultist has seen the almost simultaneous, yet seemingly unconnected emergence of exhibitions of her work, the re-publication of her long out-of-print books, and artist collective explorations of her artistic and magical techniques. 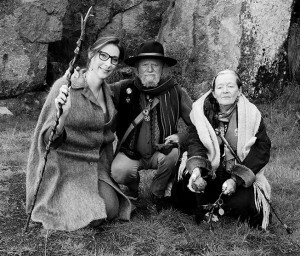 Jane and I were honoured to take part in the latter; the Ancient Scent Collective, who gathered in the numinous and mossy valley of Lamorna, a short distance from my home. It was here that Ithell made a home for herself in a ramshackle little hut which she called ‘Vow Cave’. As a group we drew inspiration from and explored the haunting valley, its surrounding sacred landscape, and delved into magical experiments and automatic techniques designed to give creative free rein to the subconscious, and thus access and manifest something of the Otherworld within our work. Ithell Colquhoun, although I never had the opportunity to meet her, has, for me, always been a mysterious yet pervasive presence, and an almost semi-mythical character deeply associated with the Lamorna vally; a location so important to my own magical background, for it was here I would convene and work with the veteran pagan and witch Jo O’Cleirigh, who had himself known and worked magically in the Lamorna Valley with Ithell Colquhoun. During one session of the ‘Ancient Scent’ Jane and myself ventured down to the cove itself with Jo and Ariel, for it was Ithell’s 110th birthday. We gathered at a point, nestled within the cliff above the harbour where Jo remembered Ithell used to keep a magical shrine. Here we contemplated Ithell, the spirit of place of her beloved Lamorna, as well as her own presence and ongoing influence. Libations were made and a single pomegranate, brought to the place by Ariel, was offered to the sea. 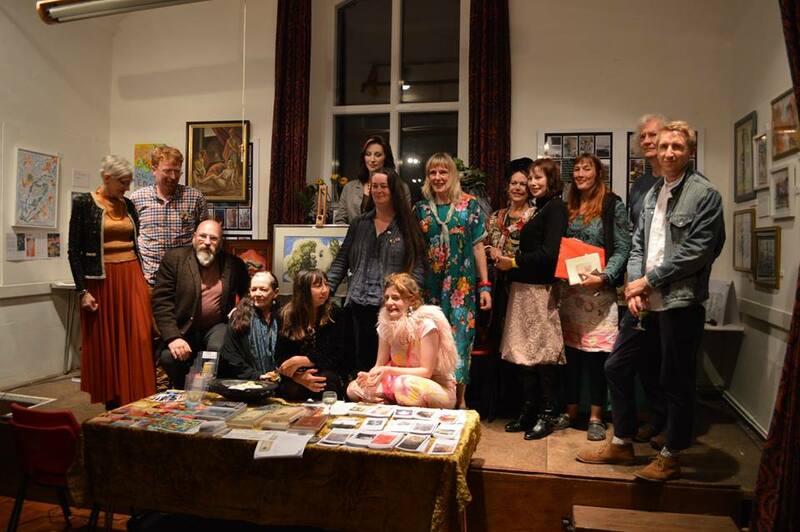 From Lamorna to London is of course quite a change of scene, but it was here, to the Slade School of Art studios above the Warburg Institute, we had to travel to celebrate Fulgur’s launch of The Decad of Intelligence. 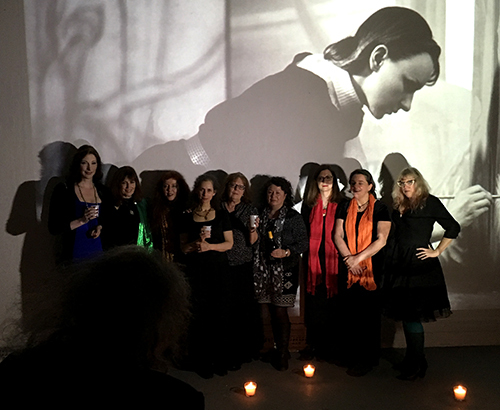 Ithell had herself been a student at the Slade in the late 1920s, and for this launch, Dr Amy Hale was to give a presentation and lead a ritual performance of the Decad by a group of ten women artist occultists. The Decad of Intelligence was created by Ithell Colquhoun in the 1970s. It is a series of enamel paintings based on the spheres of the tree of life, with each painting was an accompanying poetic text intended to be read whilst viewing the corresponding image as an aid to contemplating the nature of each of the sephiroth. Fulgur are publishing the Decad of Intelligence, as Ithell Colquhoun would have wanted, in a custom made box, holding the book of texts along with vivid and high quality prints of the enamels. 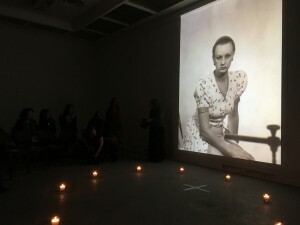 The ritual performance was planned and coordinated by Caroline Wise, and with her I would participate with Amodali Zain, Ellen Hausner, Rebecca Beattie, Suzanne Corbie, Emma Doeve, Ruth Bayer, Fleur Shearman and Lizzie Conrad. Guests arrived to find the studio illuminated by floor to ceiling projections of beautiful photographs of Ithell, some showing her at work. On the floor a magic circle was formed by the arrangement of ten white candles; their flames gently dancing within clear glass. Following Amy Hale’s introduction and presentation on Ithell and this important work, cymbals were struck as each of the Decads were called forth. 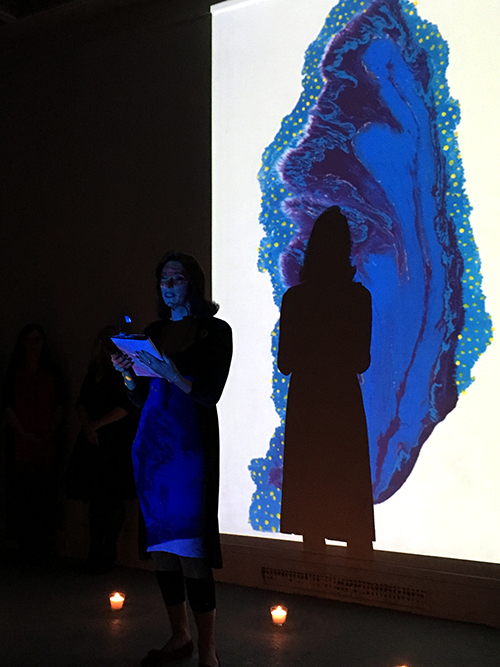 In turn, each of us entered the magic circle to read our piece with its corresponding painting projected across our bodies, and onto the wall behind us. It felt like a moving a poignant performance to take part in, and yet another glimmering facet in the long overdue recognition of Ithell’s importance as a female British artist. 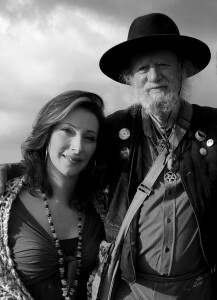 Thank you so much Robert for inviting me to partake of this experience, and thank you Caroline for your guidance. It was wonderful also to see some familiar friendly faces I’m more used to seeing in Cornwall, and to catch up again with Ithell’s wonderful niece Francis Colquhoun. Despite being a bit of a ’country bumpkin’, I love visiting London, and always find the experience quite exhilarating, yet physically demanding – with all the walking one has to do I have ended up with a few impressive blisters! Staying in Russell Square, we were of course ideally placed not only for the Warburg Institute, but also the irresistible lure of the British Museum, Atlantis Bookshop and Treadwell’s. It was good to be in Atlantis again and catch up with the ever fabulous Beskins, to have a good chat with Geraldine, and joined later by Bali after her braving the Post Office. Luckily for us, our visit coincided with Atlantis’s exhibition of works by Austin Osman Spare – a spectacular array of images, each alive with magic, shifting forms and otherworld presences. One painting, although enticingly beautiful, I felt I should not view too closely for fear of the fealing that something not entirely of this world might pounce out at me – wonderful stuff! Our hotel room turned out to be rather basic, without any tea making facilities – which of course would have made life very difficult! We planned to hunting for a shop where we could by the necessary accoutrements, however Geraldine and Bali kindly came to the rescue by lending us a kettle, cups and spoons from Atlantis – complete with sachets for making hot chocolate! Disaster averted and essential comfort restored! Every time we visit London it seems we have very little time, with a meeting or event being our reason for the visit in the first place, and so our time in the British Museum has always been frustratingly brief. However, we enjoyed our dashes through (after Jane had bemused the bag checkers at security by carrying a kettle etc.) and glimpsed ancient wonders from Africa, Egypt, Japan, along with Anglo Saxon treasures and of course the Elgin Marbles. 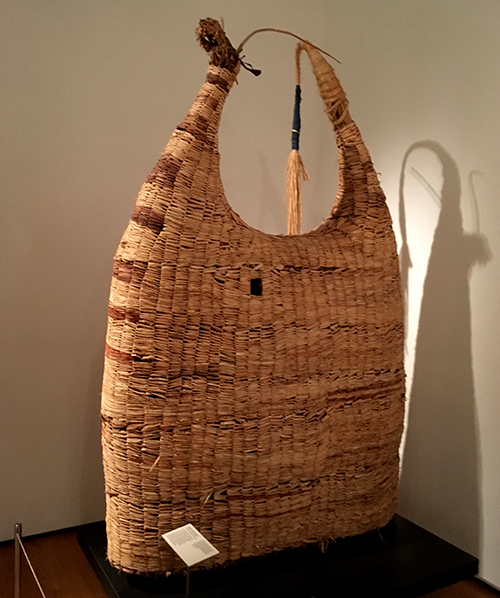 As an ‘Obby Oss’ rider, I was fascinated when viewing African ceremonial costumes to see what appeared to be an enormous woven Obby Oss, which would have been operated by multiple riders during funeral rites. It was believed to absorb the spirit of the dead and traditionally it would have been burnt after the ceremony and its ashes consumed by novices. During our brief stay in London we were lucky enough to be able to meet up with friends Becky and Ted for a drink, before visiting Treadwell’s together. Jane and I were hoping to meet Christina Oakley Harrington, as she’s been a friendly voice on the end of the phone, but unfortunately, she wasn’t in the shop. Viewing the photos taken during the Decad of Intelligence launch, I saw she was present, but sadly neither Jane or I spotted her on the night to say hello in person. 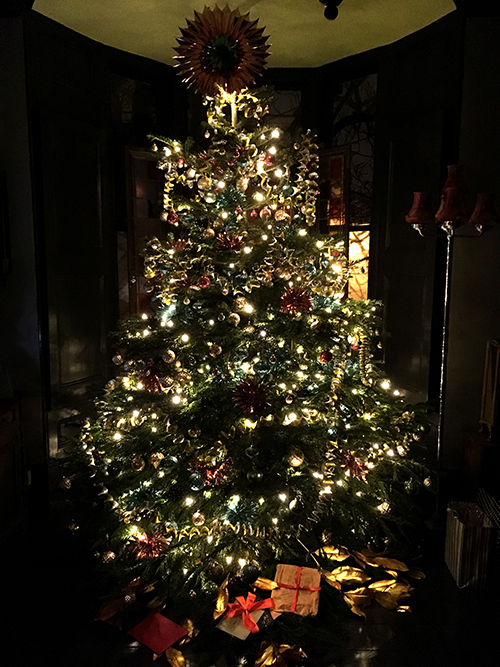 Our visit to London was brought to a rather beautiful close when we visited Simon Costin (of the Museum of British Folklore and the Museum of Witchcraft & Magic), having been kindly invited to his Yuletide party. We had a wonderful night, and being lovers of strange and unusual things we particularly enjoyed being nosey and had a good look round at some of Simons many weird, wonderful and magical things. Of course, being a set designer, his taste in Yule decorations is superb and his tree spectacular!